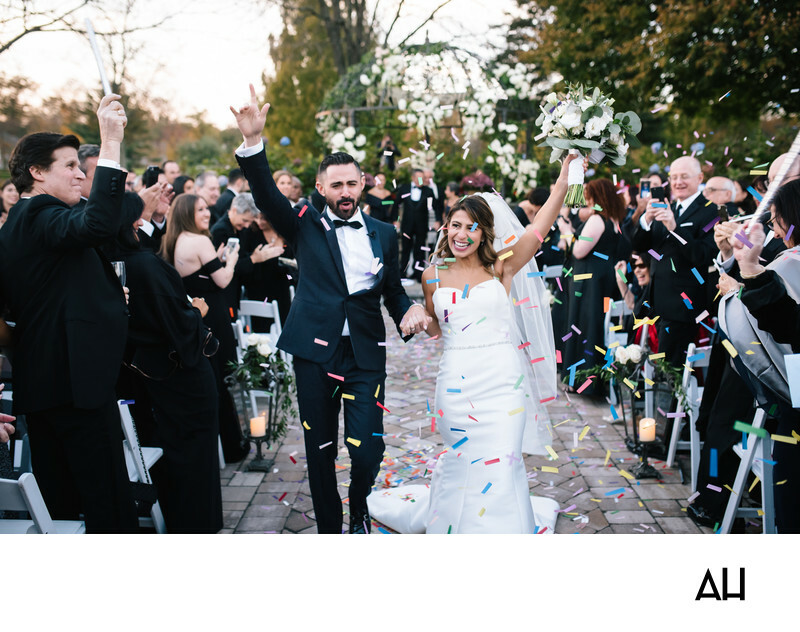 Country Club Weddings are a tradition for a reason – they provide top-of-the-line, standardized services, while simplifying the planning process for engaged couples. Benefits of country club weddings include having onsite. Don’t underestimate the know-how and expertise that only comes when a planner works full-time with the same venue. These gurus know every square inch of every room, and they’ve seen hundreds of different room configurations, seating charts, and color schemes. Perhaps most helpful is their intricate knowledge of the club’s reception menus, and usually have plenty of suggestions for customizing the menu options to give you the exact selections you want to serve. Maybe the most well-known reason for choosing a country club wedding is knowing you’ll have a beautiful background for your wedding photos. A lot of country clubs enhance the landscape with features added just for weddings. Special ceremony courtyards, arbors, and gazebos are common. Some even add beautiful decorative water features like koi ponds and waterfalls near their venues. But even without any additional features, you’re guaranteed to have a gently rolling green backdrop. And the manicured landscaping means it’s also easier to navigate in heels. The ease for guests is another reason brides enjoy opting for country club venues. Since they’re used to having a lot of people on-site, country clubs have plentiful parking. Indoors there are just as many small conveniences – signs directing your guests so they don’t get lost navigating their way around the property, heat and a/c, plus a fully staffed kitchen (and usually a snack bar) for last-minute pre-ceremony bites. Convenient, modern restrooms are another easy to take for granted amenity you don’t have to think about when booking your event at a country club. If you’re looking for a full-service venue, don’t stop at banquet halls and hotel properties – be sure to look at country clubs as well.